Our next Sunday Wine Club date will be on Sunday 19th March and thereafter the 2nd week of every month. It starts at 6pm and runs for an hour. 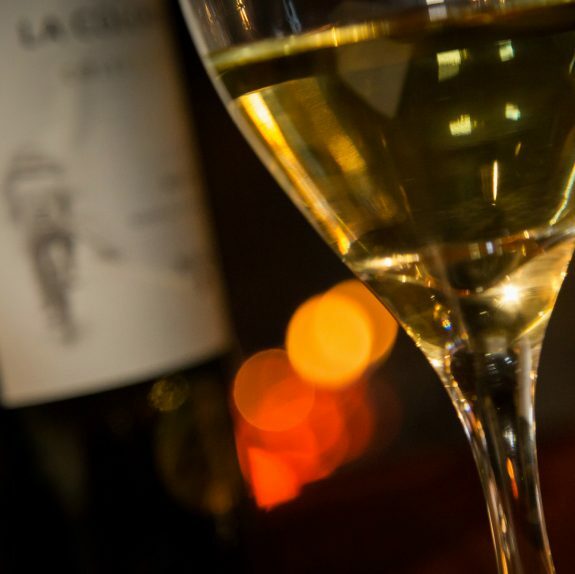 Informal but informative and exploring different regions and types of wine each time, your £10 wine club ‘ticket’ includes quite a few glasses of wine so do make sure you’re not driving home that evening. Call our Reservations team on 01628 62 19 36 to book and remember if you choose to also dine with us that same day, for lunch or for dinner, we will deduct the cost of the Sunday Wine Club from your food bill. 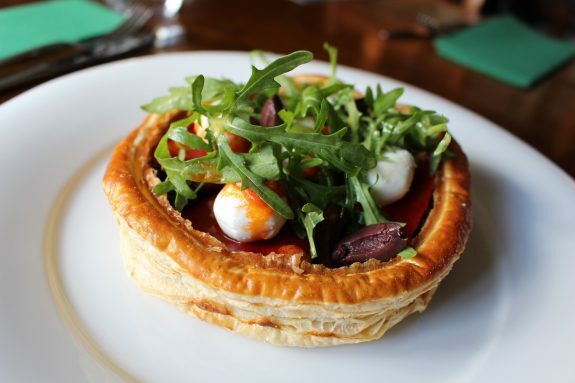 Our Head Chef Matt Larcombe has recently added some new dishes to the menu, the first of which is a starter of Mackerel on Sourdough Toast and a new main course on the menu is the Piquillo Pepper Tart with Olive Tapenade and Goats Cheese (pictured) which is suitable for vegetarians. Matt and his team of kitchen superheroes have not forgotten the dessert menu, for there you will find the addition of Guinness Ice Cream with Chocolate Brownie. An absolute treat to finish an always excellent meal, here at the Best Pub in Berkshire!